In this course, we use fresh and silk flowers, latex balloons plush, baskets and other items to make beautiful coordinating arrangements. Many designs for Valentine’s day, new baby, birthdays, get well, graduation and more. This course does not require previous experience. All materials and lunches are included. All hands-on classes. Learn many ways to do beautiful valentine arrangements, incorporate balloons and flowers to give them a special touch. Even if you don’t have a store front, don’t miss out on making money this Valentine’s day. Use the pictures from the class to take orders ahead of time. This wonderful course will help you start selling floral and balloon baskets as well as help you arrange balloon bouquets for all occasions. We focus on unique designs that will set you apart form the competition. Enhance the sales in your retail store by learning how to create dazzling window and floor displays. These classes are geared for people that have a party store, floral shop, gift show or for decorators who wish to offer arrangements in their gift shop store. If selling baskets and arrangements on an everyday basis is your goal, let us help. Get your store prepared and off to a great start for the Holiday season with the best arragenments. Enhance the sales in your retail store by learning how to create dazzling window and floor displays. When you grab your client’s attention with these eye-popping designs, you are sure to have an increase in sales. Let us help your retail business stand out from the rest with this fabulous and enticing course. DAY 6 Flower arrangements designs from simple to elegant. This course includes many floral, balloon and basket designs to help you offer unique designs at your retail store. These wonderful designs are made using a balloon, flowers, baskets, plush and more. These super sellable designs are great all seasons. Great designs for Valantine’s day, Baby, birthday, and graduations. Impress your clients with these unique and super cute balloon sculptures that are made to hold your balloon bouquets. Here you will learn to personalize them in a unique way. Increase your sales, learn new designs that are good for any budget. Learn to make the most adorable stuffed balloon sculptures for those special arrangements. Offer unique pieces to your clients and make successful sales every week. 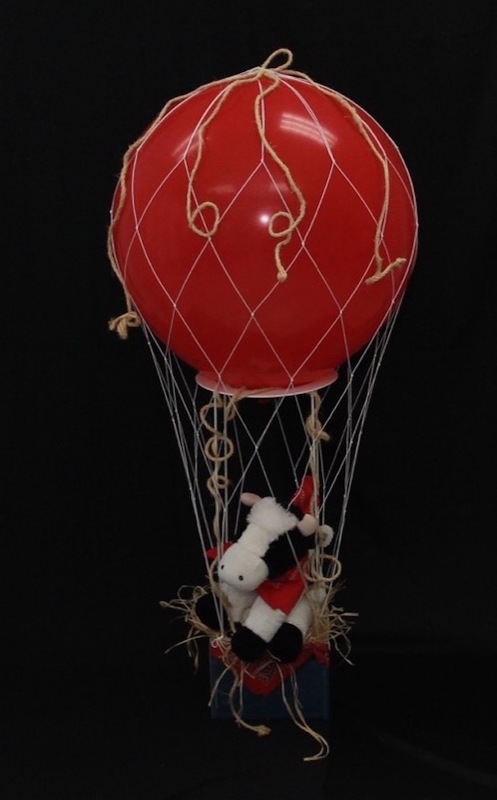 In this class you will learn to upsell your balloons by adding a unique and super cute stuffed balloon sculpture to it. A stuffed sculpture can have a plush, wine, clothes, and even a diamond ring inside. Come and see all the wonderful designs you can offer. If you have a gift show, or work in a floral shop you do not want to miss this class! Here you will learn to create super cute arrangements with flowers, balloons and even Stuffed balloons sculptures to welcome the little bundles of Joy. Impress you clients by creating retail arrangement not found in local retail stores. Join this class today! Learn to make the most adorable theme balloon arrangement. Offer these unique pieces to your clients and increase your sales. 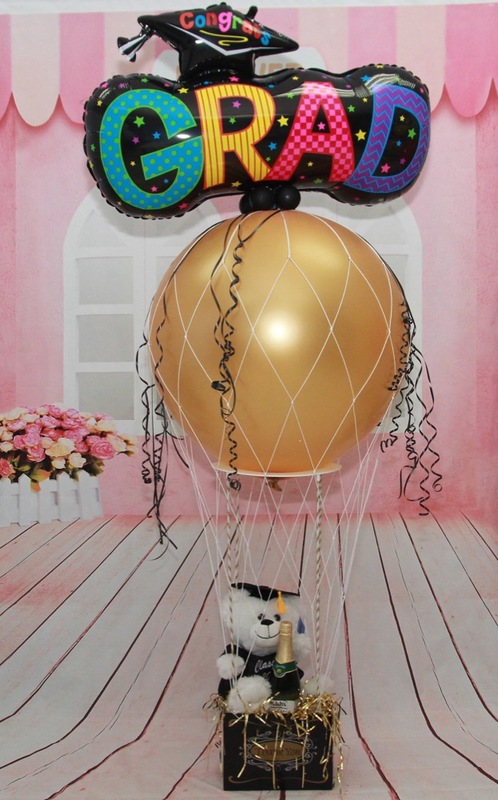 In this class you will learn to upsell your foil balloons by adding a unique and super cute twist to it. Come and see all the designs you can start offering at your shop.